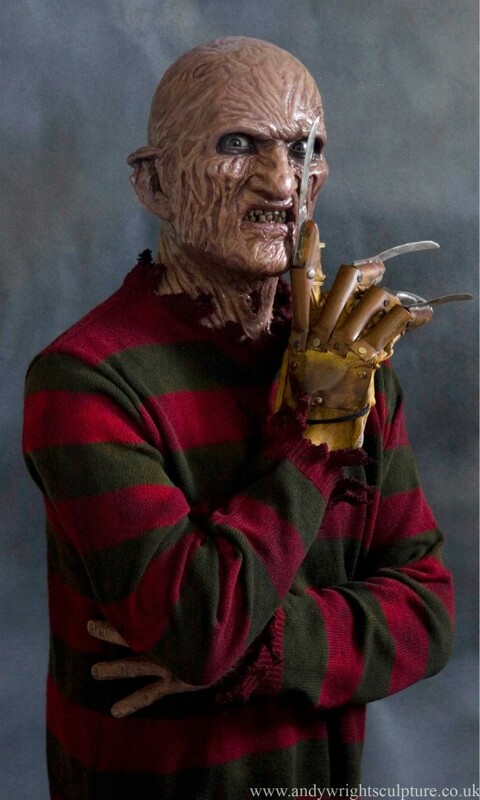 Freddy Krueger from Nightmare on Elmstreet part 2 – Freddy’s Revenge. 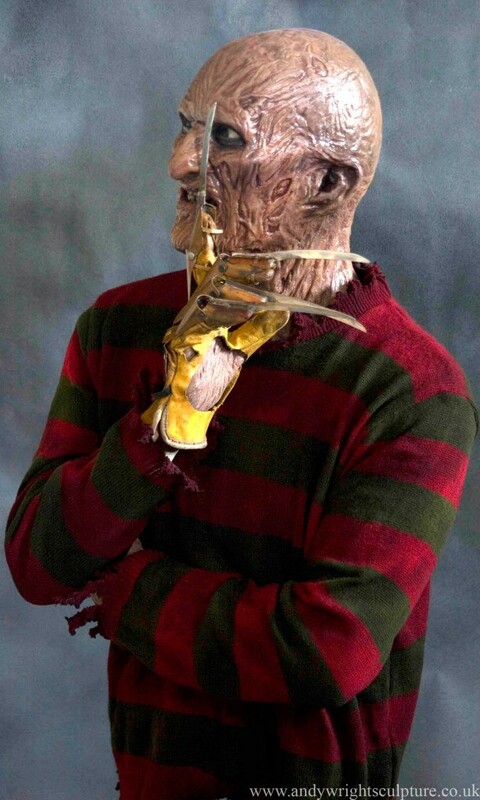 As Freddy’s look changes from one movie to the next, I was commissioned to make what is probably considered his “best” look from the second movie, which was created by Kevin Yagher. With the version selected, and a specific promotional photo to aim for, I started by gathering as many reference shots of him as I could. A steel armature was built, then clay added to rough out the form. The head was then detached and worked on for a few weeks before I was happy. It needed to capture the “essence” of Freddy. Once back on the body, the rest of the sculpture was finished and then moulds made of fibreglass. The body and arms were fibreglass castings. The hands and head were silicone skinned castings over fibreglass cores. Rather than him looking fleshy with red areas like he usually does, it was decided to go for a more burnt– straight out of the boiler room grubby look. Once painted, eyes and teeth were made from acrylics and Jersey distressed. The hat and glove were outside sourced.